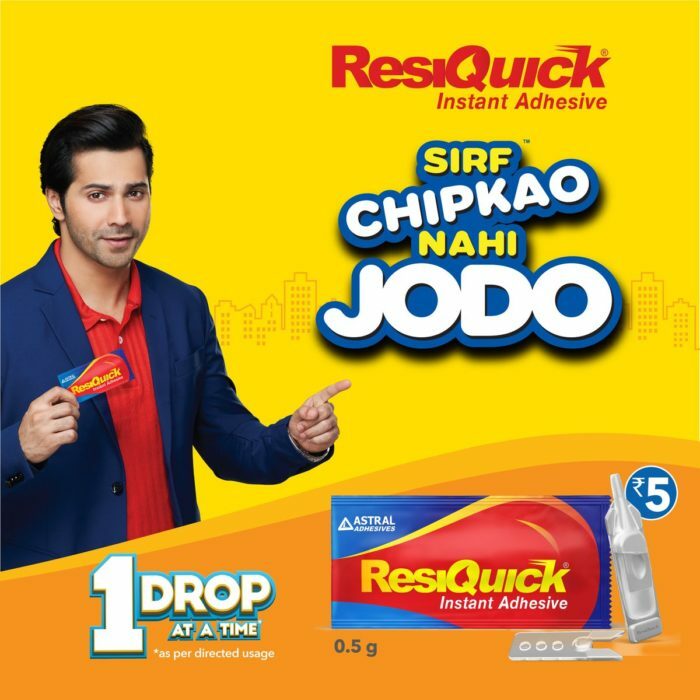 Countering the issue that the competition brand has, and highlighting the same in one’s own TVC seems like the brand marketing strategy for ResiQuick, an adhesive brand from the house of Astral Poly Technik. 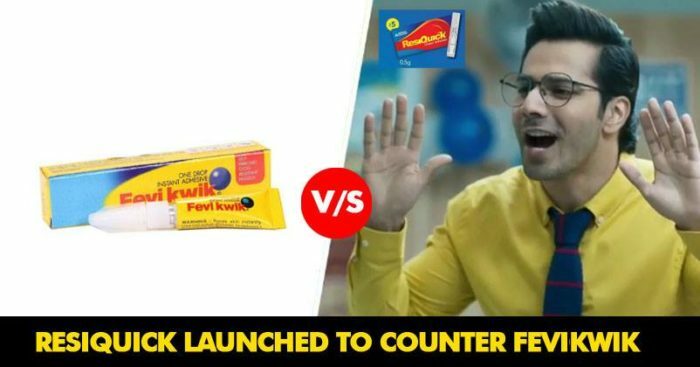 Created by Lowe Lintas, though the new TVC does not draw any direct verbal context to any of the competition brands, it makes you relate to Fevikwik almost instantly and you can easily make out that it indeed is a dig at the competition brand. Astral is known to work with A line celebrities for their ad campaigns. Salman Khan for Astral Pipes or associating with Akshay Kumar for Toilet Ek Prem Katha and IPL team Rajasthan Royals to promote their brand, Astral has always been a celebrity-endorsed brand. This time also, going with the current youth favorite, they have roped in Varun Dhawan. Without drawing a direct context, the ads are still an attempt at Ambush Marketing, though there are heavily depending on the counted tagline’ ‘Sirf Chipkao Nahi, Jodo’, hence taking a dig at Fevikwik’s ‘Chutki Mein Chipkaye’. The underlined pun here being that Fevikwik had this huge issue with residual getting stuck to people’s hands and end up sticking them too. The intent of ResiQuick is a solution to this problem by offering a more controlled one drop at a time formula and avoiding spillage and residue. Also, the 3 scenarios depicted in 3 ads are very relatable and day to day life scenarios. There is a hint of humor and sarcasm in all the ads, where the underlined pun is noticed. ‘chipkane wale sirf chipka jate hain’ is a humorous but subtly used line in the ad, which directs at the competition in two ways. One it underlines that the competition leaves a residue that makes thing other than required stick to you, and also ‘chipka jate hain’ is more like the other brands fooling you and imposing themselves with wrong communication. The first ad sees a kid’s toy snake stuck to a dad’s hand, while in the second ad twins get conjoined by a sticky hi-five and the third ad showcases a to-be bride with her ex’s photo glued to her palm. These all ad scenarios are very relevant and interesting to talk about an instant adhesive. So what’s your view on the new ads, did you like them?